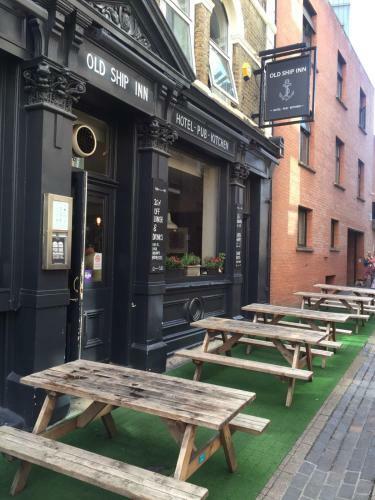 Lock in a great price for Old Ship Inn Hackney – rated 8.5 by recent guests! Room was clean. Convenient access to excellent food and walking distance to my business in town. Beautiful, clean room in a great location. 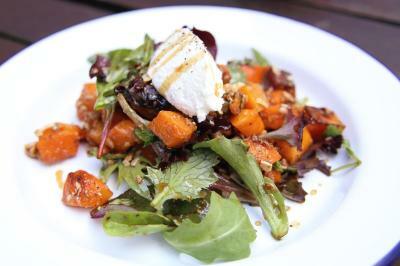 Only a 5 minute walk to Hackney Central overground and lots of restaurants and shops in the area to choose from. The restaurant downstairs is popular and opens early for breakfast and stays open until 10p. Great pricing and portion sizes plus plenty of choices for drinks. Despite the room being above a restaurant, we had no noise issues other than the England v. Croatia match, which was expected and an exciting experience. The bathroom is huge and modern with lots of counter space and a tub I can lie down in. Room had a kettle and tea with cups and sugar, a couch and tables for all our stuff. It was small but still very comfortable for our stay. Our room also had big windows that let in lots of light and breeze. There was also a fan to help cool it down as there isn't an AC. We had a great stay. Check in was easy, all staff members were kind and you get a discount in the restaurant if you are staying in a room! Pleasant surprise. 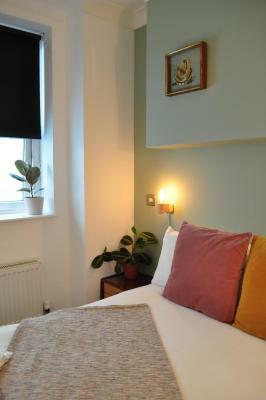 Really nice room, friendly staff, nice pub, good location for Hackney Empire and markets around London Fields etc. 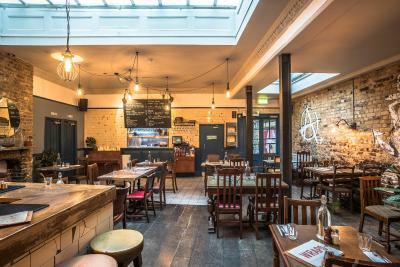 Don’t be fooled by the phase budget stay, I loved everything about the Old Ship, it’s a three minute walk to the Hackney Central Overground. Despite the rooms being located over a pub, it is surprisingly quiet. 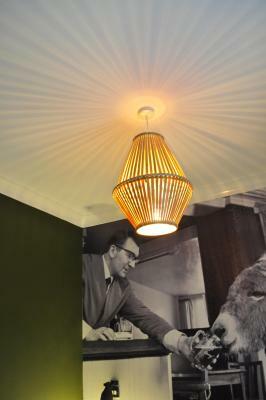 The rooms are small but AMAZING it has a quaint ensuite equipped with all the toiletries that you would need. They serve breakfast, lunch and dinner! This will definitely be my home away from home upon returning to London. The STAFF ARE THE BEST, super friendly and accommodating. Everything is close by this location, DHL, a postal office, dry cleaning and laundry service, a TK Maxx, fruit stand, ATM, coffee shop, take out food and more! The bar staff is very nice and friendly. Great choice of drinks in the pub. I was initially a bit put off by the fact that they show football matches on screen but this pub is organised in such a clever way that it does not affect patrons not interested in football. I got a room at the back which was very quiet. Location is exactly what I was looking for. Staff were extremely friendly, helpful and welcoming! Rooms were clean and comfortable. Service from staff was brilliant. 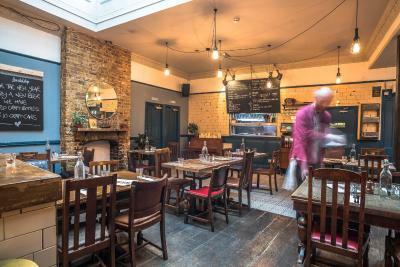 Old Ship Inn Hackney This rating is a reflection of how the property compares to the industry standard when it comes to price, facilities and services available. It's based on a self-evaluation by the property. Use this rating to help choose your stay! 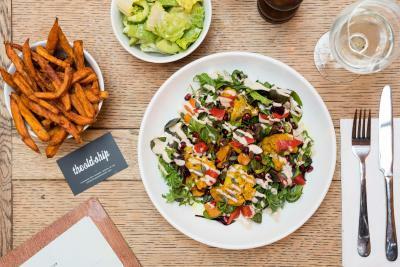 Offering a restaurant, the Old Ship Inn Hackney is located just a 2-minute walk from Hackney Central Train and Overground Station. The property features free WiFi access. 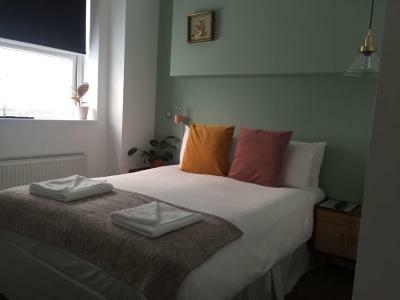 All rooms with attached bathroom come with a hairdryer and free toiletries.There are also tea and coffee making facilities in the rooms. Extras include bed linen and ironing facilities. 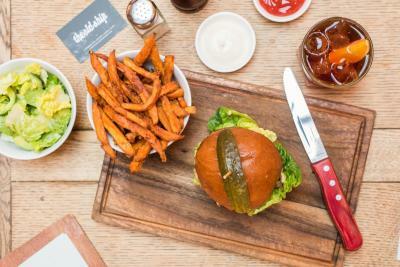 At Old Ship Inn Hackney there is a bar serving spirits, craft beers and ales and a traditional British Sunday roast. 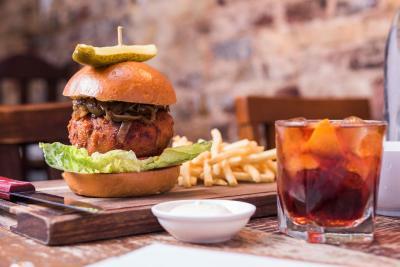 The restaurant offer meal deals on Mondays and Tuesdays. Other facilities offered at the property include laundry facilities and a snack bar. Guests can enjoy a cooked breakfast in the morning for a surcharge. 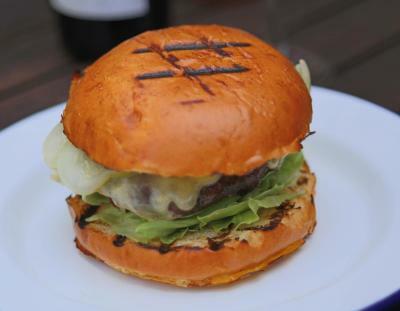 The hotel is 2 miles from Hoxton Square, a popular area for bars and restaurants. London Heathrow Airport is 18 mi away. 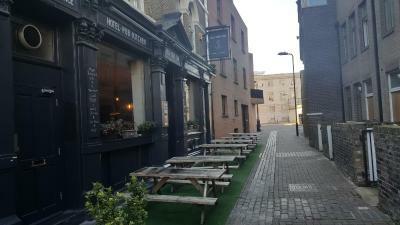 Hackney Downs is a 13-minute walk away and Victoria Park is a 28-minute walk to the south of the property. 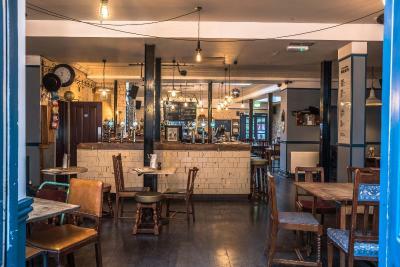 When would you like to stay at Old Ship Inn Hackney? 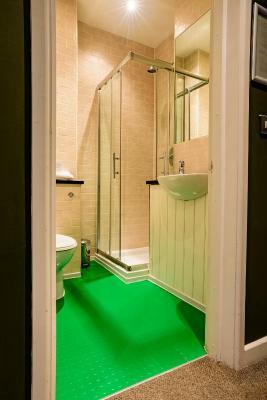 This single room features a TV, an electric kettle and a private bathroom with a hairdryer and free toiletries. 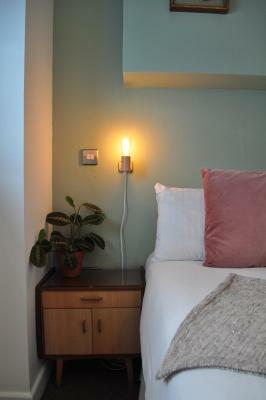 This double room features a TV, an electric kettle and a private bathroom with a hairdryer and free toiletries. This family room has a sofa, a view and a sitting area. It also features a TV, an electric kettle and a private bathroom with a hairdryer and free toiletries. 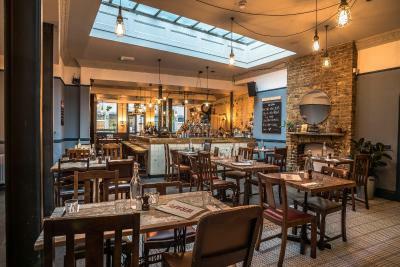 House Rules Old Ship Inn Hackney takes special requests – add in the next step! 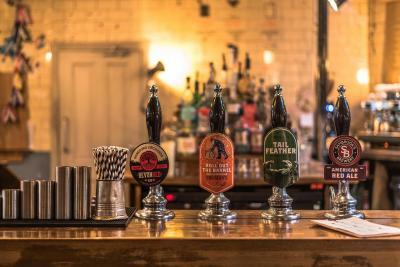 Old Ship Inn Hackney accepts these cards and reserves the right to temporarily hold an amount prior to arrival. Parking is available at the Hackney Council car park, Amhurst Road, Hackney E8 1LL. Charges are applicable. The bar is open until 01:00 on weekends. Please note, there is no elevator access at this property. Guests requiring ground-floor bedrooms should contact the property for further details. Great location for wedding at Hackney Town Hall. Friendly bar, very busy. 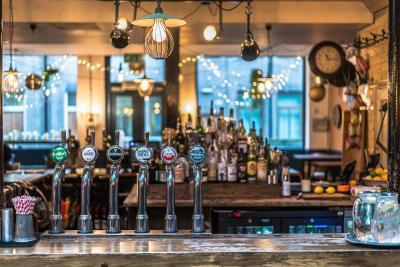 ** Guest discount on drinks - BONUS! It’s been a little noisy during night because of an external ventilation system. The staff was very friendly and the breakfast was pretty good. Would have been helpful to know there was a party there that night so booking a table for dinner would have been better. I had to wait until the party left around 8pm. Location, room was comfortable and staff were very friendly when I arrived to check in. 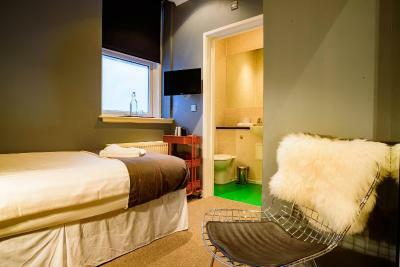 Cosy and clean room, ideal for 2 nights. 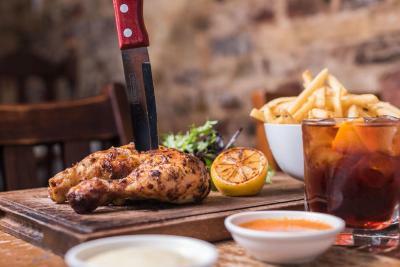 Great pub with tasty food, especially the Rotisserie chicken with jerk sauce (a must try!) and a nice choice of craft beers and drinks. Very friendly and helpful staff, I felt very welcome. Will be my future stay for that area. The cleaning was superb. The staff extremely kind, professional, and comprehensive. The bed and pillows extremely comfortables. Abundant breakfast, fresh and healthy. Good dinner. I definitely would come back! My room was directly above the bar/restayrant area which was extremely noisy with loud music. I appreciate this is a ‘youngsters’ venue which is fine. There needs to be places like this. Just me getting on in years now, this wasn’t the most suitable place fir me to stay. Very clean and peaceful. The room was just like advertised. I really liked my stay. Breakfast was cooked to order but the mushrooms were hard and greasy and the bacon was undercooked and greasy. As it was streaky, it wasn't pleasant to eat. I wasn't offered coffee (there was hot water for tea) so I didn't realise it was an option, but according to another guest you just have to ask. After a delicious dinner in the bar the evening before, I was expecting a great breakfast and what I got was just average. 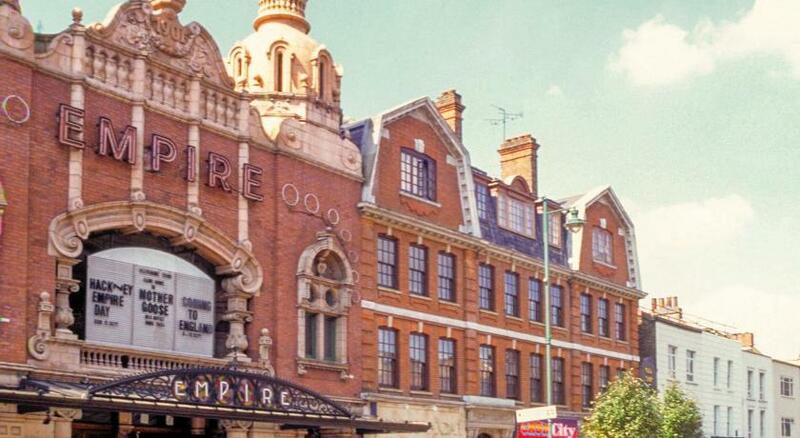 Perfect location for central Hackney - right behind the Empire. Lovely little room with everything needed. Comfy bed, pillows not too hard so a restful night's sleep. Also, a delicious evening meal in the bar, reasonably priced, too. 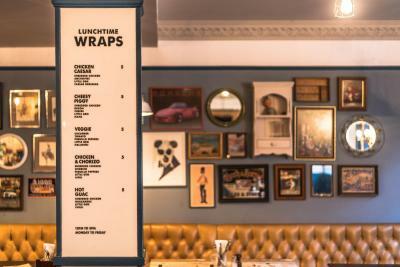 Great location bang in the middle of Hackney, decent vegan breakfast, friendly staff, fabulous wallpaper made up for the small room. Staff were kind and super helpful! Good breakfast too!